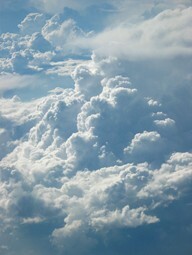 My favorite thing about flying is looking at the clouds. At a dinner during the Sundance film festival I picked up a couple of freebies good for American Airlines Admirals club for the next time I fly. I will give these tickets away to anyone who is flying American before March 31, 2009. These are good for one entrance into their airport lounge club and will give you $50 off a year membership. Of course, this would be the best if you have an overseas flight. The first readers to e-mail me will get the tickets. Please note if you are traveling with another person and are the first person to leave a comment. I will e-mail the winner/winners to get your address. that so cool that you got tickets! i LOVE flying and always wish I would be sitting in a cool lounge during long layover hours. Please remember to check you spam folders. I always e-mail the winners twice. Wow! just read about your free tickets to give away. I am so gone... we would love to travel somewhere out of the cold, boring, midwest to an exciting place. Thank you! !